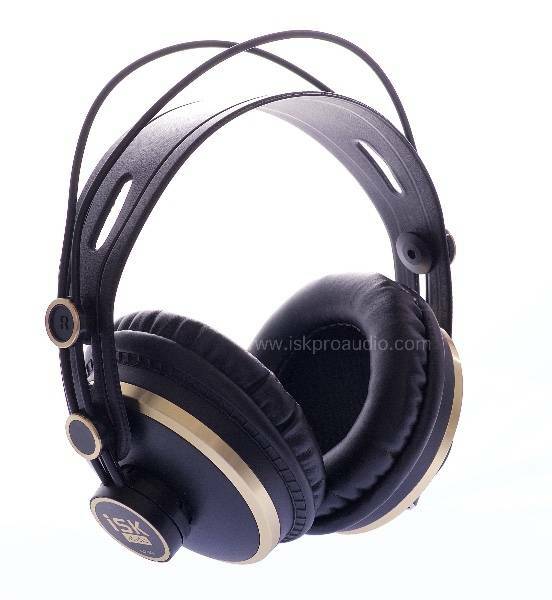 "The iSK HD-9999 are my new favourite headphones, easily worth twice the price or more"
The iSK HD-9999 Headphones are in a class of their own, and are quickly gaining popularity as the best headphones available not only in their price range, but well above it. As with all iSK products, the first priority is the sound quality, and these have full and very detailed sound from the lowest bass notes to crystal clear high's. They do not boost any frequency range, or impart their own character, but rather produce an accurate sound, true to the source. The bass is certainly a strong point of these headphones. While many headphones make the bass louder in order to be more audible, this usually makes the audio muddy, and distorts the mids and highs. In the HD-9999 headphones, the bass is not louder, but is very audible because of it's incredible clarity and superb low frequency extension. With a closed back design, and earpads that offer a good seal while still being comfortable, excellent isolation is achieved. This effectively reduces outside noise from entering, and internal sound from escaping. For this reason, they are an excellent choice for checking mixes in a live setting, and for listening to music in public where you don't want to disturb other people around you. They come with 2 pairs of interchangeable ear muffs for user comfort, style and product longevity. They also come with a straight cable and a coiled cable, interchangeable for user preference. Both cables have a 1/8 plug for use with common mp3 players, but they incorporate a convenient 1/4" adapter that threads on for a secure fit. Hear your mixes the way they really sound, and bring your music to life by listening to it the way the mastering engineer intended it to be heard, with the iSK HD-9999 headphones. iSK is one of the top 3 largest microphone manufacturers in the world! They produce mostly microphones for other well known name brand, and now they have developed their own, in house product line, called iSK, which uses the best of the best designs and components available. We, at iSK Pro Audio (located right here in West Kelowna) are the North American distributor for iSK. We buy large quantities, factory direct, and sell to the consumer at wholesale prices. We skip the middle men, and pass the savings on to you. Our products are often compared to other products that cost 5-10 times more. If you are looking for a microphone or headphones, and want the best possible quality without spending a fortune, iSK Pro Audio has what you are looking for. We offer 30 day "no questions asked" return policy, and a 1 year warranty on all the products we sell. Book an appointment with Kris today to come by the studio and try some products out.